Our mission at Gusto is to create a world where work empowers a better life — for everyone, everywhere — and this mission has three pillars. These pillars are the impact we aspire to have on our customers — the employers and employees we serve every day. Henry Ellenbogen from T. Rowe Price: Henry’s investment approach focuses on finding durable, sustainable, compounding businesses, which is how we are building Gusto. Ken Chenault from General Catalyst: Ken has been a champion of small business for decades in his former role as CEO of American Express, and we’re thrilled to welcome him to the Gusto community. Dragoneer Investment Group: They invest in companies for the long term, are attracted to teams that are customer-driven, and have backed some of the most iconic technology companies over the past 10 years. 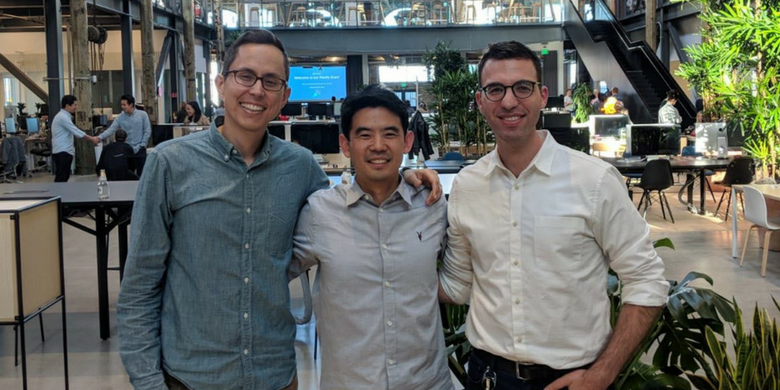 Y Combinator Continuity Fund: This is Y Combinator’s late-stage growth equity arm, and we’re excited to strengthen our already close relationship with YC as we scale Gusto over the coming years. These investors share our long-term mindset, align with our values, and care about our mission. They join our existing investors, whom we’re proud to have as a part of the Gusto community, and who have been incredibly helpful over the years. To our customers, I want to say thank you for choosing Gusto. We are grateful for the opportunity to serve you. We exist to make your life better, and we are honored to partner with you as you build your businesses, and progress through your work life. These additional resources will enable us to build an even more powerful product, so we can provide more value to you, and we always welcome your feedback. Our goal is to get better every day. To the Gusto employees (“Gusties”) that have joined us on this journey, I want to say thank you. Everything we do is made possible by your hard work and dedication to serve our customers. We have big goals as a business, but because of you, I’m just as proud of how we’re achieving those goals. You embody service mindset and builder mentality while sharing a passion to help small businesses. I am grateful to be on this journey with you every day, as we endeavor to create a world where work empowers a better life — for everyone, everywhere. For anyone who wants to join us on our journey, we’re hiring!